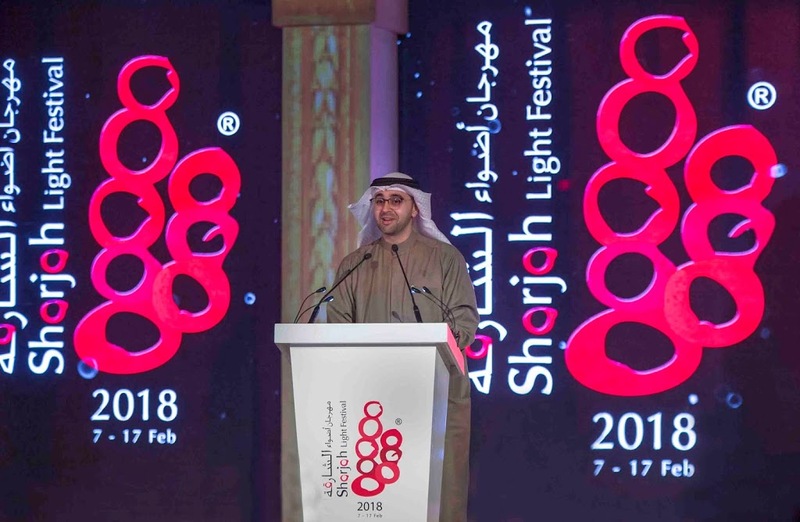 UAE, January 30, 2018 – Sharjah Commerce and Tourism Development Authority (SCTDA) has announced the details of the 8th edition of the Sharjah Light Festival, which will be held with the participation of an exciting lineup of top internationally renowned artists during its 11-day run, in 18 locations under the theme “Culture in Sharjah” from February 7 to the 17th, 2018. 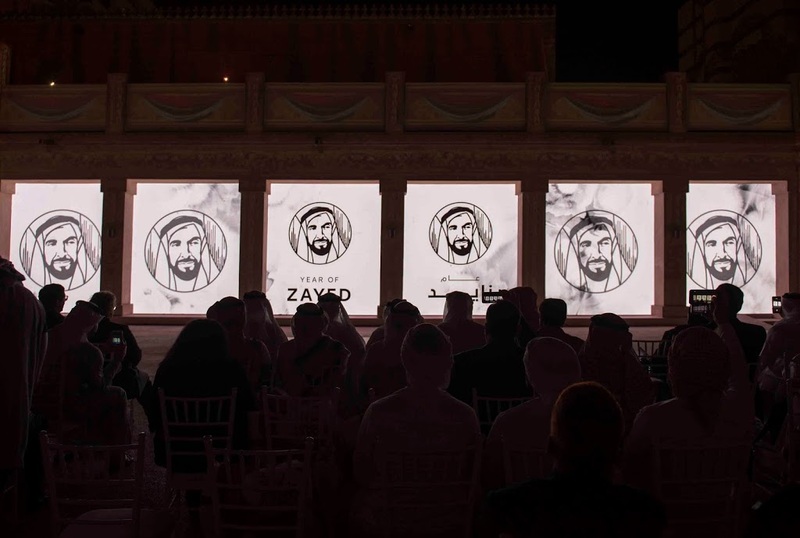 The details were unveiled during a press conference held (Monday, January 29, 2018) at Al Hisn Fort Museum in Sharjah. In his speech, H.E. 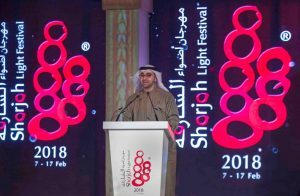 Khalid Jasim Al Midfa, Chairman of the SCTDA, said that the Authority has worked over the past seven years to diversify the festival’s activities to boost the international image of Sharjah, as well as promote the emirate’s scientific, cultural, and artistic successes thanks to the vision and guidance of H.H. Sheikh Dr. Sultan Bin Mohammed Al Qassimi, Member of the Supreme Council and Ruler of Sharjah. 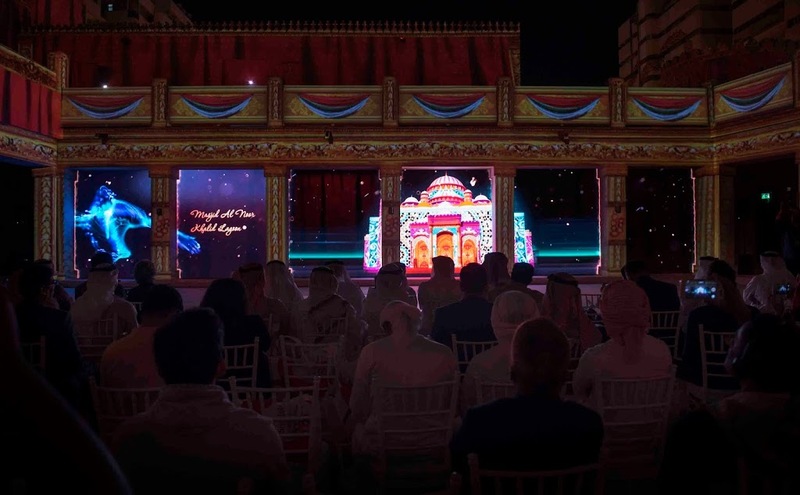 The festival will include 23 shows covering 18 popular locations in Sharjah, curated by more than 24 artists from 10 countries. The locations include: Dr. Sultan Al Qassimi Center for Gulf Studies; Sharjah University Campus Avenue; University City Hall; Sharjah Police Academy; Khalid Lagoon; Al Noor Mosque; Palm Oasis; the House of Justice; the Heart of Sharjah; Sharjah Fort (Al Hisn); the Supreme Council for Family Affairs; the Ammar Bin Yasser Mosque in Al Dhaid; Sheikh Rashid Bin Ahmed Al Qassimi Mosque in Dibba Al-Hisn; the Municipality of Al Hamriya; the Town Planning Department of Khorfakkan; Khorfakkan Municipal Council; Kalba Municipal Council; and the Directorate of Human Resources in Kalba. 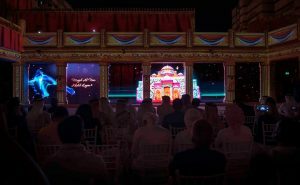 The festival is sponsored by Sharjah Municipality, Sharjah Police Headquarters, Sharjah Roads and Transport Authority, Sharjah Electricity and Water Authority (SEWA), Sharjah Civil Defense Department, Sharjah Government Media Bureau.Sahara Centre and Mega Mall are partners, while the Sharjah Media Corporation is the media sponsor. The eighth edition of the festival will include a series of visual presentations inspired by science, creativity and knowledge. The light shows will be accompanied by music played by elite musicians from all over the world. The opening ceremony for the 2018 edition will be held at the Dr. Sultan Al Qassimi Centre for Gulf Studies. The daily shows will run from 6 :00 pm to 11:00 pm on weekdays and 6:00 pm to 12:00 midnight on weekends.